Kansas Citians are no strangers to hot, dry summers. 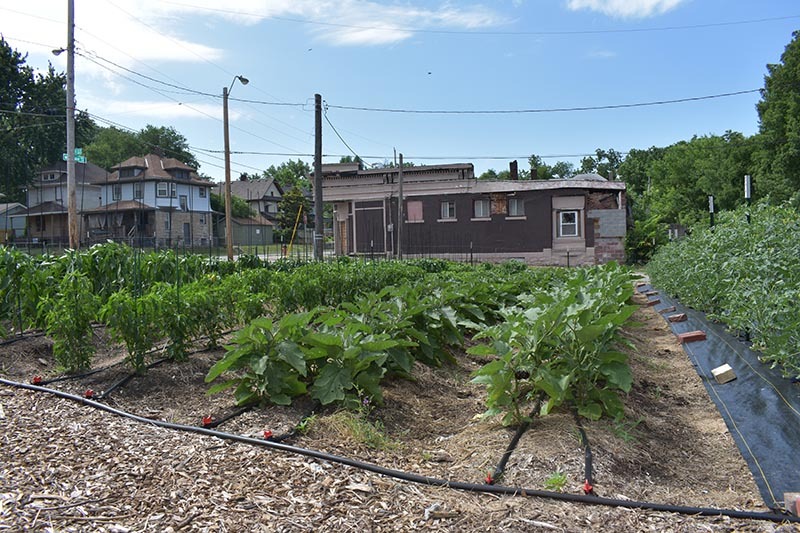 And for many community gardeners in KC who grow food in vacant lots and sites with limited access to water, keeping their gardens hydrated is a challenge once the spring rains end and the summer heat takes over. 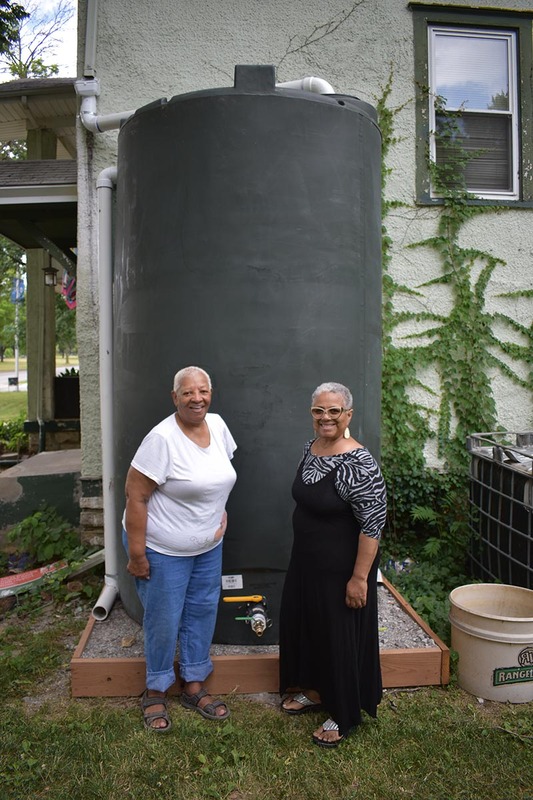 A little over 3 years ago, Kansas City Community Gardens teamed up with KC Water to establish the KC Grow Water Access Grant Program, which provides mini-grants to community groups to help fund the installation of frost-free hydrants for potable water and water tanks to capture storm water. 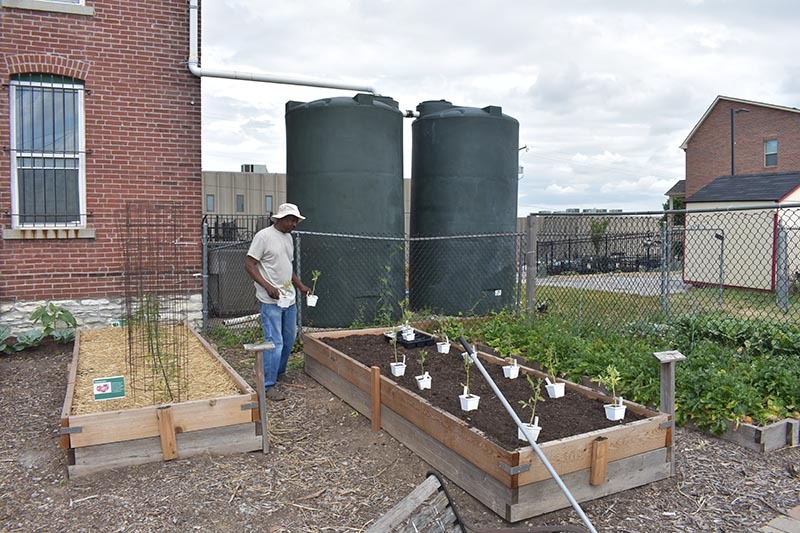 These grants significantly reduce the cost of establishing and maintaining a community garden, making it possible to grow fresh fruits and vegetables in low-income areas and food deserts. Each water tank has the capability to capture 1,500 gallons of storm water off of surrounding buildings. 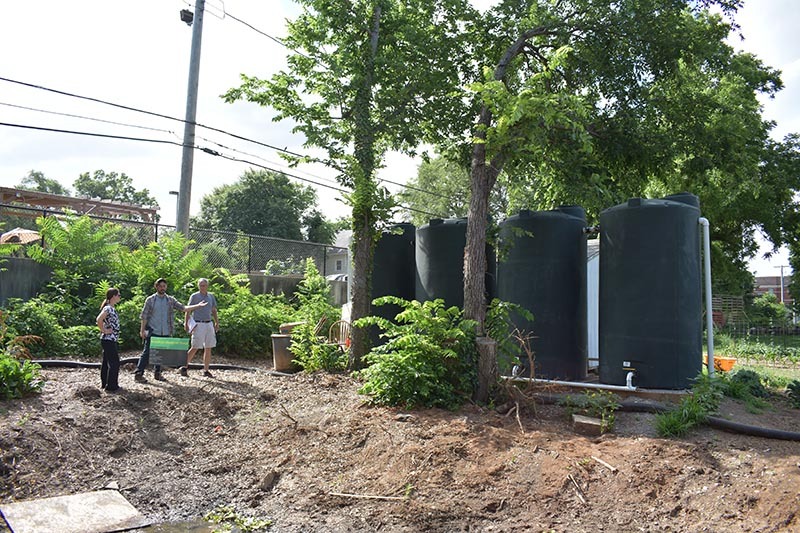 Since the grant was established, KC Water and KCCG administrators have helped install 40 water tanks at over 17 locations and new frost-free water taps at over 20 sites in the KC Metro area. 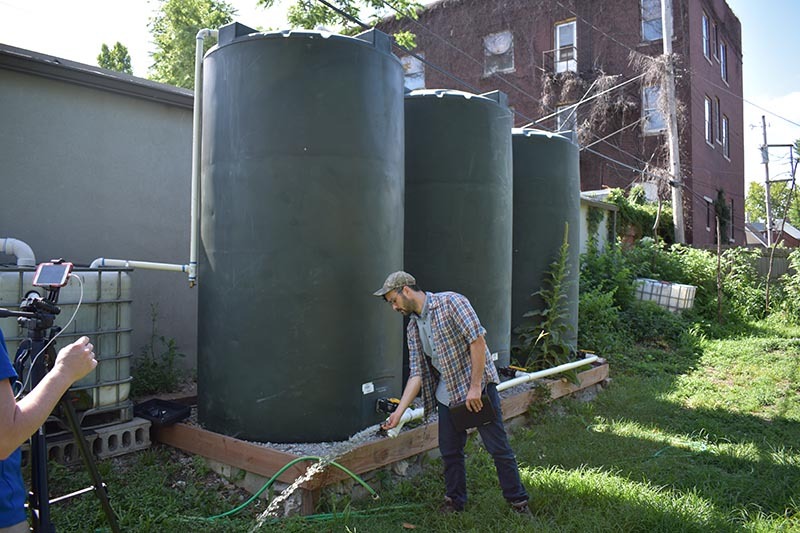 The water tanks’ capability to capture thousands of gallons of storm water not only eliminates the largest barrier to starting and maintaining a community garden in low-income areas, but they also help keep KC’s storm sewers from being overwhelmed and causing flood damage. Stormwater in Kansas City can be an asset that is often overlooked. When gardeners harvest rain for use, they are not only using water that is free and beneficial for the plants, but also keeping that rain from reaching our combined and storm sewer systems. Rain that is allowed to soak into the ground where it falls doesn’t add to flooding issues and basement backups in homes. It’s a win/win situation for everyone. Recently, representatives from KC Water and KCCG took a tour of several community gardens to see the water tanks and hydrants in action. 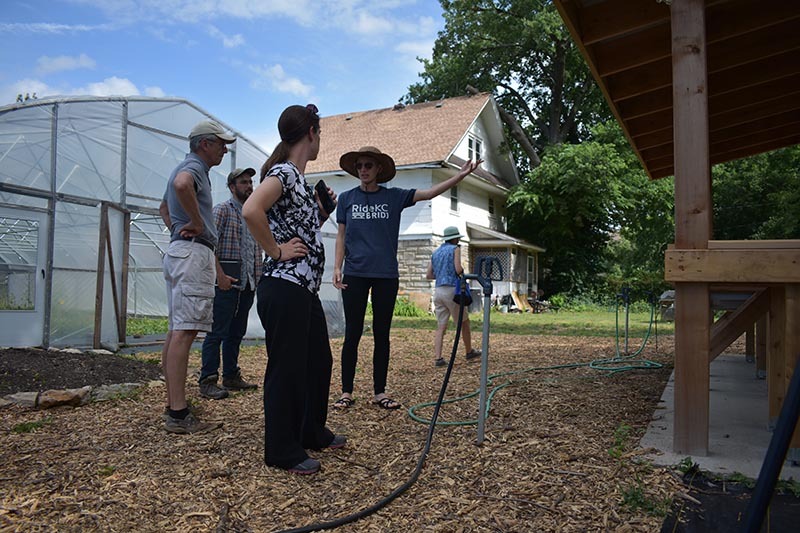 The gardens on the tour included community gardens at Paseo West, Troostwood Market, Manheim Community Garden, St. James Church , and an urban farm at Woodland City KC. Lisa Hummel from Woodland City KC displayed the frost-free hydrant system that helps her irrigate her urban farm. 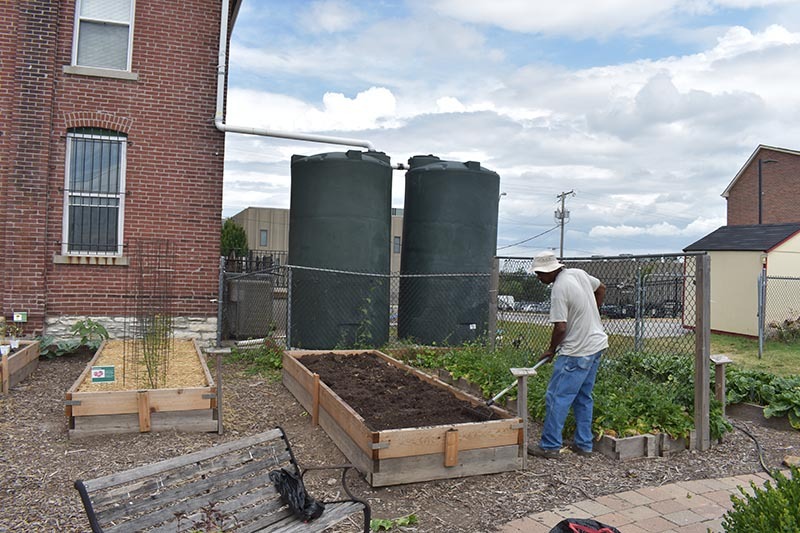 Meanwhile, the tours at Paseo West, Troostwood Market, Manheim Community Garden, and St. James Church boasted their water tanks and how they helped irrigate their gardens. KC Water and KCCG hope to install more irrigation systems in the future. To learn more about the KC Grow Water Access Program, click here to learn more and to apply for the grant. Next StoryFarewell To MaryAnna, It’s Been A Great 7.5 years!